James A. Garfield, “James A. Garfield,” Histories of the National Mall, accessed April 23, 2019, http://mallhistory.org/items/show/111. President James Garfield was shot twice in the back by an assassin, Charles Guiteau, only five months after taking the oath of office. The attack took place at the Baltimore and Potomac Railroad Station on Sixth Street. Garfield survived the attack but was extremely ill for two months. He finally died in September, 1881. 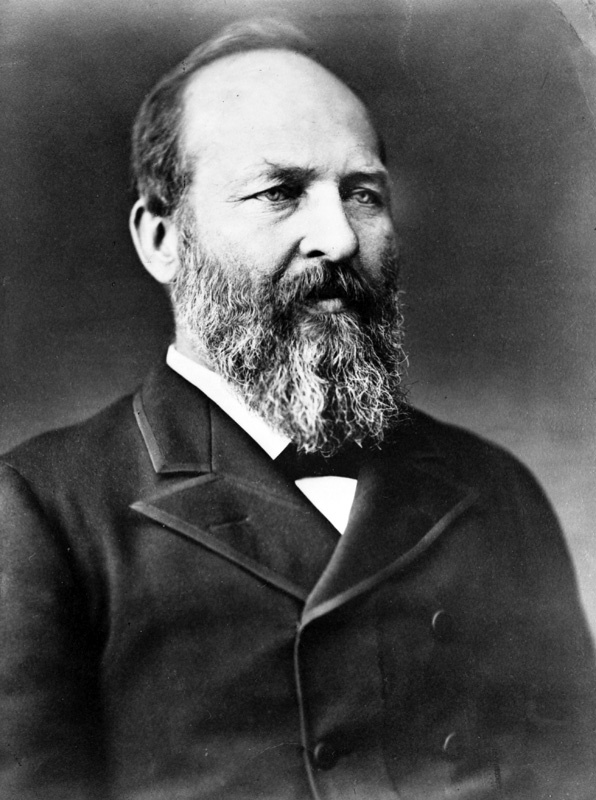 James A. Garfield was the 20th President of the United States as well as a US Representative for Ohio, a Brigadier General, and college President. Learn more about Garfield from the Library of Congress.